NCEF begs to disagree with his Eminence that Nigeria is a multi-religious state, based on the fact that the Constitution which forms the basis, upon which our founding fathers agreed to live together as a country, provides under Section 10 that “the Government of the Federation or of a State shall not adopt any religion as State Religion”. 1. as “not connected with spiritual or religious matters”. 2. “Of priests living among ordinary people rather than in a religious community”. 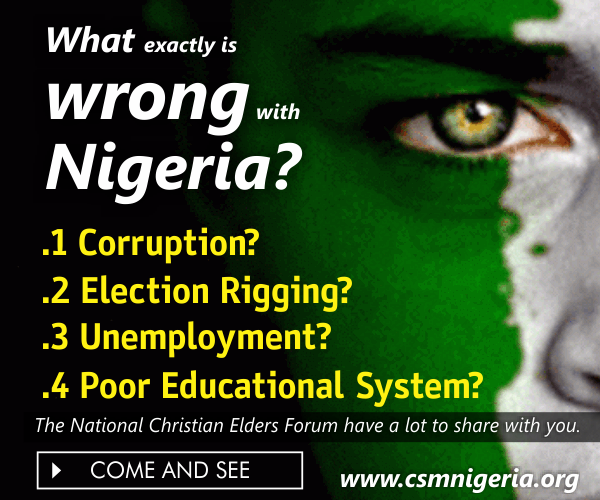 Nigeria has multi-cultural and multi-religious communities, tribes, ethnic nationalities but one nation. It is correctly assumed that in the interest of peace and justice, the Constitution in Section 10 PROHIBITS the State from Religious participation by way of recognizing one and two religions. Multi-religious country does not fit the interpretation of Section 10 rather it is its opposite. The Sultan’s interpretation, we submit, is intended to justify Islam and Christianity as State religions until Islam dominates to become de facto and de jure religion of Nigeria. Apart from Professor Ben Nwabueze, most lawyers, Christian and Muslim, shy away from the proper meaning of Section 10 of our Constitution. It is our hope that this issue of whether Nigeria is a Secular or multi-religious state will be subjected to proper conversation in the future. However, in the interpretation of English words (not Arabic), Nigeria constitutionally, is a secular State. We respectfully disagree with the Sultan “that it is not possible to Islamize Nigeria” as she has already been Islamized. By taking Nigeria into the OIC in 1986, Military Dictator, Ibrahim Babangida officially turned Nigeria into an Islamic State. The Charter of OIC concerning membership stipulates that a country should, first and foremost, be persuaded that it is an Islamic nation before it can apply for membership. Simply by the act of the application for OIC membership, Babangida tampered with the secularity of the Nigerian State. That unilateral decision should be reviewed because it violates Section 10 of the Constitution. Hassan al-Banna, the founder of Muslim Brotherhood in Egypt in 1928, wrote in 1934, “it is a duty incumbent on every Muslim to struggle towards the aim of making every people Muslim and the whole world Islamic, so that the banner of Islam can flutter over the earth and the call of the Muezzin can resound in all the corners of the world. God is greatest. (Allahu akbar).” Al-Banna further instructed his followers: “Islam is faith and worship, a country and a citizenship, a religion and a state. It is spirituality and hard work. It is a Quran and a sword.” (Muslim American Society www.maschicago.org) We know that Muslim members of the Nigerian Armed Forces, (and the Sultan was a General in the Army), have soft spot for the Egyptian Armed forces until it became estranged with the Brotherhood. Some of us, Christians, are unable to accept as a result of lack of evidence that the Islamists doctrine of Jihad (Boko Haram and Fulani Herdsmen) is not acceptable to Nigerian Muslims. We say so because the conduct of government officials suggests intolerance, and preparation for Jihad. If Nigeria is being run as a secular State, the Constitution in Sections 10, 37, and 38 guarantees right of private and family life, Right to freedom of Thought, Conscience and Religion that should protect Joe Chinakwe and the Complainant would have been arrested but because Nigeria is an Islamic State, Joe Chinakwe has to face trial in the process promoting "the most effective way to get rid of critics” is to instill fear in ordinary Nigerians. One wonders if the dog had been named Gowon or Jonathan would there have been any furor about the matter. NCEF states that it is not an expert on Muslim doctrine but only relies on reading materials provided by Muslims including the Muslims Brotherhood. In these documents Jihadists are advised that “They must understand that their core task – eliminating and destroying the Western civilization from within, is not negotiable as it is part of the basic duty of every Muslim … it is a Muslim’s destiny to perform Jihad and work wherever he is and wherever, until the final hours come.” It is as a result of the understanding (or lack of it) of Civilized Jihad that we are apprehensive of those in the “Security and Intelligence Committee” of the Federal Government by some unexplained reasons are mainly Muslims. President Buhari, (Muslim), Chief of Defense (Christian), Chief of Army Staff, Chief of air Staff, Minister of Defense, Minister of Internal Affairs, Inspector General of Police, National Security Adviser, Director General of DSS are all Muslims from the North. We are not too sure whether the Vice President is a member of this Committee following information that he was once excluded from the meeting the President called. When the Vice President summoned the same meeting in the absence of President Buhari who was away in the UK, there was resistance and the meeting had to end abruptly. Military might consists of Army, Navy, Air Force, Police, Intelligence Service, Civil Defense, Road Safety, Vigilante, Sharia Police in addition to Boko Haram that was reported in the Sunday Vanguard to have killed "No fewer than 23, 000 Nigerians since the outbreak of the Boko Haram insurgency in the North/Eastern part of Nigeria. Within the same period, a total of 2.15 million persons have been displaced from their homes and communities as a result of the conflagration. A group, Network of Civil Society Organization, NECSO, gave the figure at the Northeast Humanitarian Summit held on Saturday, August 20, 2016, as part of the activities designed by the United Nations General Assembly, to honour those brutally murdered by terrorists in Baghdad, Iraq, including a UN envoy, Segio Vieira De Mello" (Vanguard page 4). The atrocities committed by Fulani Herdsmen such as number of persons killed, farmland and buildings destroyed with other properties during the same period were not included. The conclusion which we, Christians draw is that Jihad is being committed against our country Nigeria especially when the cohesive instrument of state is in the hands of three ethnic nationalities and one religion. This enlists fear in the minds of the populace especially Christians. Perhaps the most glaring mis-step taken by the Buhari administration is in the Ministry of Education. It is important to some of us Christians that “stealth or Civilized Jihad” should not be introduced in our schools for fear that our children will be presented with a view of Islam that white washes its violent history and intolerant religious imperatives based on our experience with Boko Haram and Fulani herdsmen. This explains why some of us Christians, are uncomfortable that the Heads of National Universities Commission (NUC), Polytechnics, Colleges of Education, Tertiary Education Trust Fund (TETFUND), Joint Admission and Matriculation Board (JAMB), Universal Basic Education Commission (UBEC), National Business and Technical Examinations Board (NABTEB), and National Teachers Institute (NTI) are all Muslims and one or two of them Islamist Jihadists. It would appear to the NCEF that since 1975, Stealth Jihad has been exhibited by the Jihadists in Nigeria. The Jihadists believe that Sharia law is the perfect system for human society. They worked (and are working by all means) to impose Islamic Law on Christians and those Muslims - the Ahmadiyya who support Western pluralistic governments and seek to live with non-Muslims as equals under secular rule. 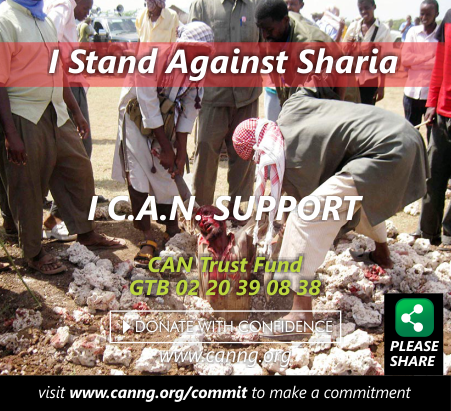 The Islamists have introduced, bit by bit, Sharia Law into the Nigeria society by demanding that Nigeria become an Islamic State while shouting down all those who dare to challenge their machination. They are well funded, organized and persistent. They will not be pacified by negotiation or compromises, and cannot be bought off. Stealth jihadists work energetically to wear away the very fabric of the Judeo/Christian culture which Nigerians acquired through Western Education. They do not tolerate co-existence and must subjugate others. Permissible lying in Islamic law is not only permissible but obligatory for Muslims in some situation. Sharia law has two standards of truth and falsehood. In general, the Quran disapproves of Muslims deceiving other Muslims, but approves lying for the promotion of Islam. Taqiyya is a concept in Islamic law that translates as “deceit or dissimulation” particularly towards infidels. We have to re-examine the roles of some State Governors who say that they are converts from Islam to Christianity but merely hiding their true identities for the promotion of Islamism in Nigeria or members of the intelligence agencies who have penetrated the “Christian camp” and hold high appointments in the Church, yet, remain Muslims after all. These are suspects who weaken Christians understanding of Jihad and sabotage Christian organizations, such as CAN and various Christian societies. The Church had one of such false converts pretending in the Church for six years, and when he eventually genuinely converted to true Christianity, Islamic fundamentalists attacked his home and one of his sons was killed. In the above situation, how do Christians accept what some Muslim leaders say without hesitation? His Eminence will appreciate why we, Christians are suspicious of some of his pronouncements especially when we can read Taqiyya in the story concerning our Chibok girls. In the Sunday Vanguard, August 21, 2016, the following was reported: N96 trillion was realized from Oil Revenue between 1958 – June 2016: How Nigeria short-changed oil producing areas and deprived them of N36 trillion derivation, since they got only N12.3 trillion; 2500 killed in 25 years; Why Niger Delta region, others want restructuring, resource control. The publication showed that of the N96.212 trillion crude oil earnings only N12.3 trillion was paid to the oil producing areas as derivation. Had 50% derivation as obtained before 1966 applied, the Niger Delta would have earned N48.106 trillion. The fears of “Christian” Niger Delta is that the Region may be abandoned to its fate by an Islamist Federal Government, after all, all “land in Nigeria has been bequeathed to the Islamists by Allah” and therefore “reserves” the right to abandon same as the British colonialists did in Jos after mining for tin ore. Niger Delta will then be saddled with unproductive land due to oil pollution and the rivers and streams polluted by crude oil will be devoid of fish and other marine resource. They will then be told that it is the wish of Allah. It will be safe to suggest that the Islamists have succeeded in weakening all opposition and are now prepared to launch the final jihad that will re-introduce the Sokoto Empire of the 21st Century. To achieve this, Nigeria’s 386 other Ethnic Nationalities must be impoverished and weakened to the extent that they will see Islam as the only way out of poverty, insecurity and heaven on earth and beyond. In other words, the Buhari Government is on a proselytizing mission. We are of the view that his quest for emergency powers to aid tackling economy, will aid proselytizing. It is also very clear in the said publication that oil revenue financed Nigeria since 1958 and it will be inhuman in the 21st Century for those who have benefited mostly from oil revenue to turn round and enslave by conquest, their benefactors. We are sure that such conduct does not accord with mainstream Islamic teaching. For us Christians, our attitude must remain “Think Christian, Act Christian” in the face of Islamist Jihadist ideologues that see themselves as the New Colonialists. There is need to allay the fears of the generality of Nigerians especially Christians based on the facts above because prominent Christian elites and leaders, for reasons best known to them, have refused or are unable to speak up. Since Christians are not in control of any political party that would protect their interests as the Muslims, all Christians can do is plead with the Sultan to respect the Constitution and must not regard it as inferior to the Quran. There is a Bill now pending before the National Assembly, titled “NGO Regulatory Bill” intended to silence NGO’s including the Christian Association of Nigeria (CAN). It is not in dispute that Nigeria is an Islamic State contrary to Section 10 of the Constitution. What is in dispute is whether Nigeria is ruled by mainstream Muslims or by Islamist Jihadists. We plead with the Sultan to appreciate that Nigeria is safer and more peaceful when the Government of the Federation or of a State does not adopt any religion as State Religion.